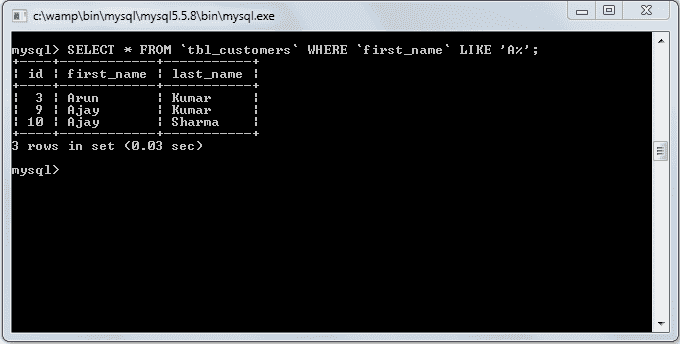 MySQLi LIKE condition allows wildcards to be used in the WHERE clause of a SELECT, INSERT, UPDATE, or DELETE statement. This allows you to perform pattern matching. Below the syntax of LIKE condition. escape_character - Optional. It allows you to test for literal instances of a wildcard character such as % or _. If you do not provide the escape_character, MySQL assumes that "\" is the escape_character.